Experience Instagram on your Mac. Is there a better alternative to Carousel? Is Carousel really the best app in Internet Utilities category? Will Carousel work good on macOS 10.13.4? 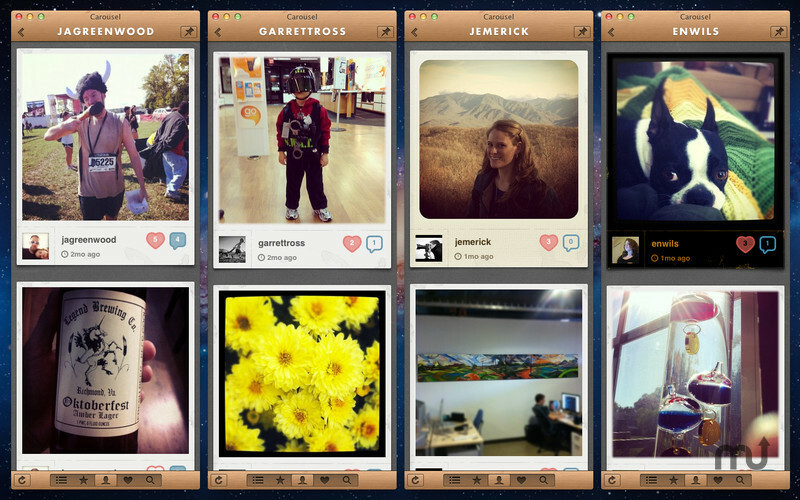 Carousel is a desktop app for the Mac devoted to viewing your Instagram feeds. We made Carousel because we wanted a simple, beautiful way to browse Instagram on the desktop in a minimal footprint. We've implemented a full set set of keyboard commands to make operation flawless and four wonderful themes to personalize Carousel to your liking. Note: The version available for download is 1.5. The version available in the Mac App Store is 1.5.1. Carousel needs a rating. Be the first to rate this app and get the discussion started!